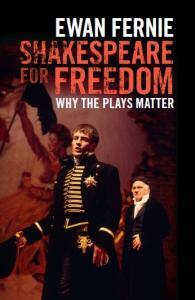 Both Ewan Fernie and Paul Kottman have recently published books that address the expansive topics of Shakespeare and freedom: Ewan Fernie, Shakespeare for Freedom: Why the Plays Matter (Cambridge University Press, 2017); Paul Kottman, Love as Human Freedom (Stanford University Press, 2017). In addition to each author reviewing the other’s book in our Fall 2017 issue, Fernie and Kottman answered a set of our questions to further explore the relationship between Shakespeare and freedom. 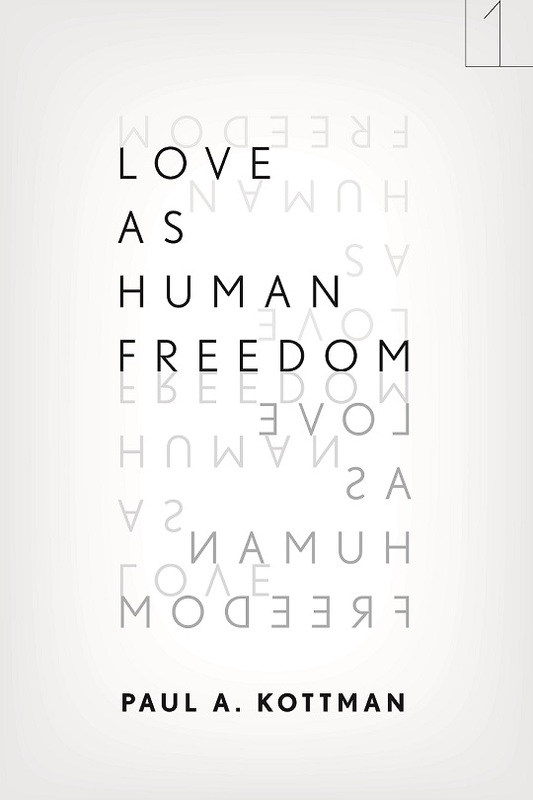 SQ: There has been a lot of recent attention to “freedom” as a theme in Shakespeare’s work, for example Stephen Greenblatt’s Shakespeare’s Freedom (2010). What does each of you mean by freedom, and why do you think it matters so much to Shakespeare studies? 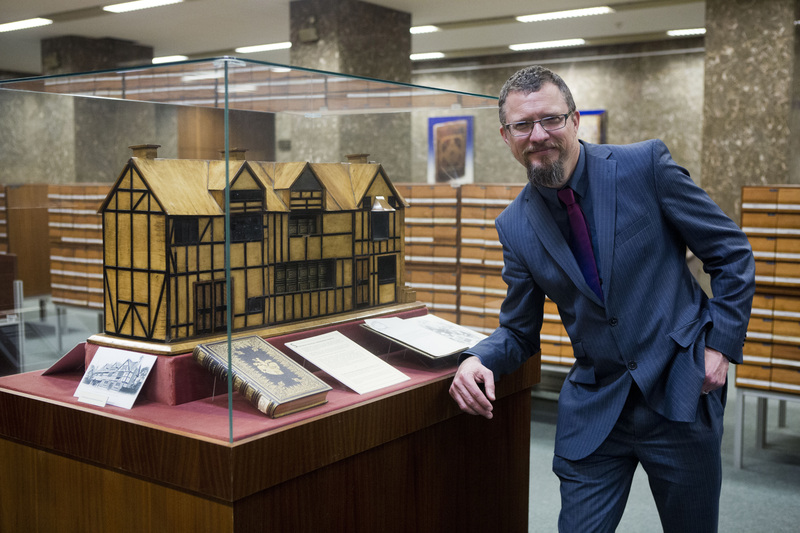 EF: I think there’s a connection between personal liberty and Shakespeare’s greatest achievement as an artist—his creation of dramatic characters so magnificently spirited and alive. But Shakespearean freedom is an engagingly unstable thing: both the freedom to be fully and abundantly oneself (like Falstaff) AND the freedom to become someone else (like Rosalind or, for that matter, any actor). Such freedom, in its double aspect, is often scintillatingly personal, but it is also always political, won by and expressed through interaction with others, not to mention a shared or contested ideological inheritance, Lebenswelt, etc. It’s in this context that the lavishness with which Shakespeare endows his characters—including his minor characters—with life affords a credible image or idea of what a politics of freedom might be. At the same time, Shakespeare confronts us with a basic tension that obtains between an individual’s freedom to do as he or she likes, and the freedom of others. This expresses itself most starkly in the murdered corpse of King Duncan. But of course the freedom of the individual conflicts with the will to freedom and self-realization of any number of others at a much more mundane level. Freedom is at best the struggle for freedom, and perhaps the best we can do politically is to maximize the freedom of that struggle. I suggest Shakespearean drama is a perfect vehicle for exploring the struggle for freedom. PK: It is difficult to state economically what freedom means, but I can offer some points of orientation. I situate my book in relation to a tradition of thinking about freedom that emerged in German Idealism. In that tradition—in contrast to Christian or voluntarist philosophies, according to which freedom means being able to cause an action by an independent act of will—freedom is understood to be tied to a dependence on social relations in which independence is achieved. That is, freedom is understood to entail being in a kind of relation to oneself, as well as in a kind of mutual relation with others, in which one’s actions can be experienced as one’s own. Hegel saw these sorts of relationships not as the result of some prima causa, like “individual acts of pure willing,” but as sociohistorical achievements—consequences of recognitive practices undertaken over time. This freedom is not just a “negative freedom” (freedom from constraint or want), but a kind of “positive freedom,” an opening of possibility. Following Hegel, I ask: how to understand the form of social relations, interactions, and dependencies in which freedom is achievable? My own inquiry turns to sexual love as such a collective practice. In late modernity, I think, lovers increasingly reflect on this freedom as lovers—in love affairs, as it were. But in other places and times such reflection was found primarily in artworks—especially in literature. Not by chance, love is the most generative theme in the history of world literature—to which Shakespeare is singularly important. So, while my book is not a “Shakespeare book,” I needed to offer extended analyses of Romeo and Juliet and Othello. SQ: What have you learned from reading each other’s books, and how, if at all, will it affect your own future writing? EF: I find Paul’s book heartening as a convincing counterexample to the postmodern “incredulity towards grand narratives.” Such scepticism did important work, deflating and discouraging windily self-important, often ideologically conservative and damaging scholarship (on, say, the supposed nature of Englishness, or homosexuality, or women). But it also had the unfortunate effect of narrowing horizons and disabling ambition, threatening to produce an academic culture of diminishing returns. 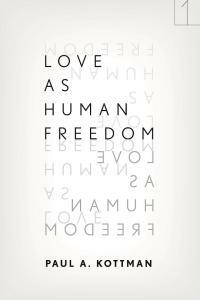 Paul offers a narrative that is grand in its scope and in its focus on the seriously big topics of freedom and love. Love and freedom are vulnerable to ideology critique because they so often prove vulnerable to ideological manipulation, in favor of hegemonic realities such as family or nation. But the story Paul tells accommodates that sort of manipulation and reveals what is working through it as a matter of fundamental, though always mutable and developing, human concern. I would also commend Paul’s rigorous focus. He doesn’t lose himself in details, or their tangential implications; it reminds me of what Douglas Bruster once wrote about the potential virtues of “thin” as opposed to New Historicist “thick description.” Paul’s philosophical purposiveness offers a helpful challenge, I think, to critical suggestibility. It also demonstrates the substantial contribution to philosophy that a certain kind of criticism can make, and begins to suggest that thought at its most thoughtful—not in any diluted or “dumbed-down” form—could change personal or political life now. A lot of that resonates with me, and I think we all have a lot to learn from it. PK: Well, first, I learned things that I did not know! I learned about Garrick’s Jubilee of 1769; about the nineteenth-century Hungarian revolutionary Lajos Kossuth; about Thomas Cooper, John Moriarty, and Ted Hughes. I am grateful for that, as other readers of Ewan will be. But, most of all, Ewan shows me what a compelling transdisciplinary way of studying Shakespeare looks like. To study Shakespeare “disciplinarily”—in an English Department, say—just means coming to know what one is talking about when it comes to Shakespeare. Of course, Ewan knows what he is talking about, but he is not reductively disciplinary. Nor is he just “interdisciplinary” (Shakespeare and politics, Shakespeare and religion, etc.). Nor—happily—is he adding to the megafield called “theory” that so afflicts the humanities. 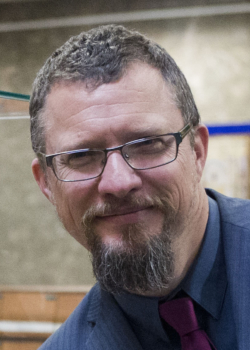 Instead, Ewan’s work—at the Shakespeare Institute and in his book—embarks on transdisciplinary inquiry, not readily pursuable in existing disciplines. For instance, Ewan asks “What good is Shakespeare?”—and he ventures that “Shakespeare means freedom.” This question and answer are enormously important to discuss—but such questions cannot be answered or posed from within disciplinary confines. Ewan’s work shows us the form that such inquiry can take, and he does so in ways that give it institutional legitimacy and heft. SQ: Both of you write a lot about Shakespeare in your new books but also about other figures from eras and periods well beyond the English Renaissance. What did it mean for you to write about Shakespeare with this broader canvas in view? In what ways does Shakespeare fit into the conceptualizations or reconceptualizations of history that your respective books offer? EF: Well, whereas in The Demonic I was writing about Shakespeare alongside other writers and thinkers, Shakespeare for Freedom is always about Shakespeare (… and freedom). But in this latest book I realized “how Shakespeare becomes Shakespeare” posthumously, how central he is to that passion for freedom that has been such a major driver of Western modernity since his death. Shakespeare attains this new and more meaningful life from the Garrick jubilee of 1769, through the combined labors of a whole tradition of thinkers and activists in the nineteenth century. It was a great discovery for me that political Shakespeare didn’t in fact get underway in 1985 (the year of Jonathan Dollimore and Alan Sinfield’s landmark collection of that title), and that many of the great dead other than Nelson Mandela had invoked Shakespeare in a struggle for freedom for which they were willing to die. Paul queries my contention that Shakespeare (and Hegel) provided a model of the new world they were aiming at, but I see that model as expressly open-ended. There can’t be an end to the story of freedom, as Shakespeare helps us see because, unlike, say, Wagner, he offers no final synthesis or overarching myth. This means, to my mind, that we just have to commit to the struggle, though there’s no telling where it might lead us. PK: I see Shakespeare as Socratically “midwifing” the birth of modernity’s self-understanding (not all on his own, of course). But I also see Shakespeare as one of the last “ancients.” His classical education, however incomplete, was essential to his career, and that kind of Bildung is not really available to us. Shakespeare is a fulcrum on which both the ancient and modern worlds teeter. We can read Shakespeare backward as realizing something of unfinished antiquity—he could still hear Ovid almost natively. In my book, for instance, I try to show how Romeo and Juliet is the apotheosis of a tradition that saw romantic love among the living emerge from familial love of the dead. But we can also read Shakespeare forward, into our world. If I can say this without sounding ridiculous, I like to think of Desdemona as a “modern” hero in my book, something like what Antigone is in Hegel’s Phenomenology of Spirit. SQ: Both of your books seem to aim at reinvigorating a certain kind of humanistic scholarship, and both tackle large questions of general importance to broad audiences. In light of this, what do you see as the aims and importance of the humanities, and of Shakespeare’s place in the humanities? EF: That’s a huge question. I suppose I think the future of the humanities depends on the freedom of the individual critic to respond, freely, to whatever most urgently claims her attention. Virginia Woolf said we need “rashness in reading Shakespeare,” that even in her time he was getting “flyblown” with criticism. At a time when neoliberalism has given freedom a bad name, and the Right have commandeered the politics of freedom for a dangerously regressive nationalism, I also think Shakespeare can help us recover the passion for freedom that remains an important and hopeful legacy of our culture. But Shakespeare isn’t a propagandist for freedom, or anything else; he teaches that freedom comes at a cost. For John Moriarty and Ted Hughes, after the horrors of the twentieth century, freedom has been irrevocably darkened, but we have to engage with that darkness to have any hope of redeeming it. They’re looking for a freedom of “complete being,” one we can affirm and live with, and they look for it in Shakespeare. They insist that even in dark times—perhaps especially in dark times—Shakespeare still has something to say to us. PK: As Robert Pippin has pointed out, the modern humanities arguably began in 1749, when Rousseau won a contest held by the Academy of Dijon in answer to the question “Has the progress of the sciences and arts contributed to the corruption or to the improvement of human conduct?” Rousseau’s answer was “corruption.” In 1754, responding again to the Academy, he wrote his Discourse on the Origin and Basis of Inequality among Men. These essays attempt to mark the limits in principle—not limits based on temporary empirical ignorance—of natural scientific understanding (and revealed religion), and thus pave the way for the modern humanities as a distinct form of inquiry. The humanities occupy a special place in the contemporary organization of knowledge. The natural sciences try to determine what living and nonliving things are, and how to understand natural processes. The social sciences try to explain individual and collective behavior. Because scientific understanding is increasingly complex, a specialized division of labor is fruitful. But in the humanities, overspecialization tends not to shed light on overarching questions—instead, a certain kind of “generalist learning” is needed. In my view, the humanities are the study of meaning and of value in general. Humanists study what things mean, and how things mean, as well as values and moral issues: “What should be believed?” “What ought to be done?” I edit a book series, Square One: First Order Questions in the Humanities (Stanford), that is dedicated to this kind of inquiry. And I see Shakespeare as one of its unavoidable figures. Robert B. Pippin, “Natural and Normative,” Daedelus Special Issue: “On Being Human,” 138.3 (Summer 2009): 35–43. 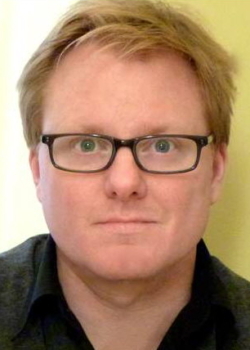 Ewan Fernie is Chair, Professor and Fellow at The Shakespeare Institute, University of Birmingham. 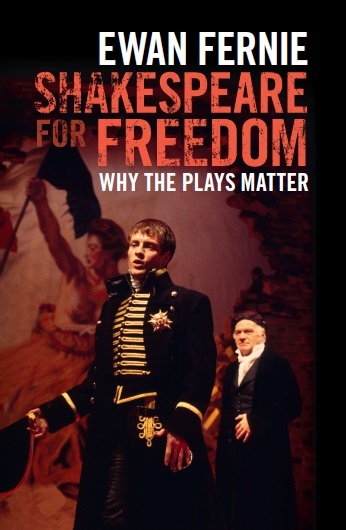 His latest books are Shakespeare for Freedom: Why the Plays Matter; Macbeth, Macbeth (with Simon Palfrey); and Thomas Mann and Shakespeare: Something Rich and Strange (edited with Tobias Döring). New Places: Shakespeare and Creativity, edited with Paul Edmondson, is forthcoming. Ewan Fernie with the Shakespeare tribute presented to the nineteenth-century Hungarian freedom fighter Lajos Kossuth. Image courtesy of the National Széchényi Library, Budapest; photo by Peter Rákossy.